Want to be hired by Tino? 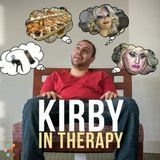 I am very interested in collaborating with writers for the 2nd season of my Comedy Web series Kirby in therapy. About a bumbling loser in therapy - this year I am looking for some even better catchy, funny dialogue. Writers than can really deliver that comedy punch... please watch the show so you can get a sense of feel for the character, style, humor, theme and content. We are a content provider looking for writers willing to be compensated for articles that range from 300-500 words. I'm putting to gather a music Cruises Ship cabaret type show. The Building Blocx is a community based marketing and advertising company with a focus on promoting entrepreneurs businesses.